I recently had a chat with a colleague about promoting a client using social media. Initially I thought it would be a great opportunity but when I found out what industry this person served (not your everyday market) I had to put my thinking cap on to think of out of the box ways to use Social Media to help promote this site. The real kicker came in when I found out that there wasn’t a website (or blog) to work with, which made me have to think even harder. 1. Create a Squidoo Lense. While some may argue the ads are distracting, Squidoo has certainly been an effective medium for many to build a home on the web. A big advantage is that the Squidoo network is pretty solidly trusted by search engines and is gaining consumer popularity. Secondly, they don’t seem to have the blog-spam issues that many blogs suffer from and while there is a certain amount of interaction desired, it seems less cumbersome than with a blog. 2. Get Blog Reviews. I don’t mean paid blog reviews either, but I believe every good online marketer should have industry bloggers that they can turn to when they want an unbiased product review. If you serve a niche market exclusively, you might be able to pull it off yourself, but it would run the risk of bias or concern from other clients, so anonymity, might be in order here. 3. Create a Single Page Website. I always encourage people to have some sort of online real estate. Websites can be costly to build, especially if you want them to look decent and have lots of bells and whistles, but at a minimum, I would recommend putting a simple “about me/us” page with either a logo or a picture if it is promoting an individual. 4. Leveraging Social Bookmarking Sites. Do you remember #4? Now you have “something” to work with in terms of Social Media sites. You might have thought that was the purpose of the Squidoo page, but some people frown on promoting Social Media Sites or other Social Media Sites. I personally don’t think it is 100% taboo, but I understand the caution behind it given that if people can abuse a method of online promotion, they often do. 5. Leverage Social Media Networks. 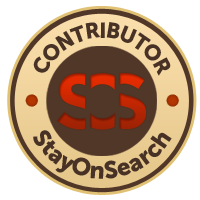 Do some research to find niche social media sites that would welcome content or reviews for the site, product, or service you are promoting. Next, add a Facebook profile (if you or your client doesn’t already have one) and build a Facebook page making both the profile and the page public. Lastly, consider doing a MySpace page and starting a MySpace group for your niche. Keep in mind that success on MySpace is often combined with lots of “maintenance” such as seeking friends to add, seeking groups to join, and monitoring friend requests and comments. 6. Use Public Relations (PR). The way media relations are handled is very different than before blogging and Social Media were such a big item. I would find a way to create news about an upcoming launch or product/service offering and leverage your press contacts (which should include trusted industry bloggers) and seek to not only get your press release picked up, but have a goal of being interviewed on noted industry blogs and mainstream media venues. 7. Hold a Contest. Let bloggers, colleagues, friends, and media contacts know about it and someone (if not many) will pick it up and run with it. 8. Go Viral. Closely related to promoting a contest would be promoting some sort of “freebie” – perhaps an ebook, a download, an MP3, a even a coupon for a deep discount. Anything that would get people excited enough to visit your website and most of all tell others about the giveaway. Having a website and a blog are clearly the top ways to leverage social media because you get plenty of opportunities to provide much desired content to those you network with, which ultimately is pushed out to those that they network with. Once you have made your headway with the initial 8 steps mentioned, I would take the time to build out the single page website, maybe adding some articles to it and then try and push for a blog. A no-comment blog is better than no blog at all if keeping maintenance and monitoring down is truly an issue. Hopefully the success will be able to wake up the client enough to want to invest time in building community by opening comments and interacting with their audience (read – prospective clients).